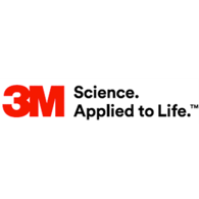 3M is seeking a Converting Operator for the facility located in Clinton, Tennessee. At 3M, you can apply your talent in bold ways that matter. Here, you go. The person hired for the position of converting operator will serve a new manufacturing area within the 3M Clinton site. These employees will commonly be referenced as a converting operator or a production operator. Employees will be cross trained in all of functions of the area and must perform all area functional tasks on a rotational basis. Examples of these tasks include the following. Minimum three (3) three years of manufacturing experience in a private, public, government, or military environment. This posting is for a Converting Operator position at 3M Clinton, TN. 3M anticipates that multiple openings for this position will occur over time. Qualified applicants may be considered as Converting Operator openings occur at 3M Clinton,TN, and 3M will accept applications for up to 6 months from the posting date of this requisition. Eligible applications will be kept open and active until May 2019. After that, the posting will be taken down and applicants will need to apply/re-apply for available open postings at that time.